have you heard of ? it looks like they know how to party, huh? win a “party in a box” full of confetti, pinatas, tassels, and backdrops for your next celebration. if you don’t have a party coming up…here’s an excuse to have one! i love the copper one the most, how about you? 1) go to the prospect goods and take a look around. one winner will be chosen on wednesday, march 26th at 10am PST. open to US readers only, sorry! the retail value of prize is $253+. also! 10% off any purchase with the code DLFREADERS10 through may 31st, 2014. UPDATE: winner is #184, Brittany Ruth! Having spent a lot of time in Mexico ( the birthplace of the pinata), i can say I’m very impressed by the metallic geometric shapes, especially the gold! Would love to use the Diamond Pinata for a bachelorette party!! The Multi-Colored Piñata and Confetti Kit definitely puts me in a party mood! Love everything in this shop. i love the tassel strands! perfect for an upcoming bachelorette party and wedding shower! I love the diamond pinata! I love the Coolio Confetti! I mean everything is so cute but I love how dainty the confetti is. I’m a sucker for gold so ,of course, the gold is my favorite. Seriously LOVE it. I think the fabulous bling pinata would be a good way to celebrate my 30th birthday! I love the diamond pinata. That could make a bridal shower or engagement party way more exciting! that multicolor pinata, i love it! I can’t get enough of that tassel strand! Especially in the pretty blues. These bling pinatas are killin’ it. love love love. All of the crystals and tassels!!! I love the purple party in a box! i’m with you, the copper bling pinata is definitely my fave! I am positively smitten with the big gold confetti and am so glad the tassel garland trend has stuck around. Thank you so much for hosting this giveaway! I am in love with the diamond pinata. It would be so fun for an engagement party! My favorite item on Prospect Goods site is definitely the tassel strand! I’m using one of them for my wedding this July and am so thrilled with it!! I would LOVE to win this party in a box!! My husband and I are about to move to a new city! Yay Austin, TX! And we’re about to buy our first home! I would love to have the Crystal Pinata and a few tassle strands to celebrate our new adventure! Plus the crystals would be beautiful to decorate with. Who doesn’t love a crystal? I LOVE the Bling Copper Piñata! Perfect shape and color! I’ve always been a fan of their Tassel Strands! What a fun shop! I love the copper Crystal Pinata! I love that diamond pinata! My birthday is in a week, that would be so fun to have for the party! This so fun. I want the silver fringe backdrop for my wedding. I love the Pendant Pinata and the tassel strands- so much fun! At the risk of sounding a bit weird, I have a total weakness for gold pinatas. This one is gorgeous! That bling piñata is to die for. Definitely my favourite! I love the Bling Piñata!! All their metallics are beautiful. absolutely smitten with the bronze bling piñata. My penchant for elegant yet eclectic party supplies means I leave them up year-round! Thanks for making these contests possible! Having designed and made one of these pinatas from scratch, I know how time-intensive these are and really appreciate them. The silver diamond one is my favorite! How fun! I would love this. I love everything in the shop, but I’m dying over those rainbow quartz crystals! i need that diamond pinata at my birthday party!!! I love the crystals and the metallic mix tassel strand!Fingers crossed! love the diamond pinata and the crystal anti pinata trio! thank you! tassel strands are the best!! I love the crystal pinata! I love the copper pinata! And of course some tassel tail add ons! I would love these for my wedding coming up in May! These would be great for a wedding shower I’m throwing! I love the Crystal Pinata in Copper! I adore Prospect Goods and have been eyeing these pinatas for my wedding! I heart the Crystal Pinata the most. Glam pinatas, pure genius! The radiant purple party in a box is my favorite. That copper pinata is to die for! That’s what I’d pick! Thanks for the chance to win this sparkly giveaway! I so love the gold pendant pinata! I have a thing for pinatas and that one’s way too pretty to break so I’d love to keep it hanging around my home to remind me to celebrate more! The tassel strands are so fun! makes me want to party! 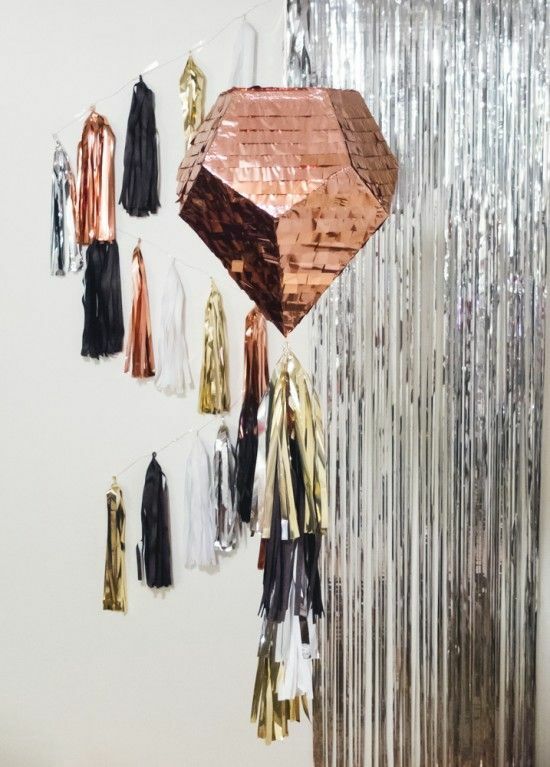 love the copper crystal piñata and the metal tassle strands. I love the rainbow quartz crystal! Everything is sooo amazing! I love the silver party in a box! Love Prospect Goods! 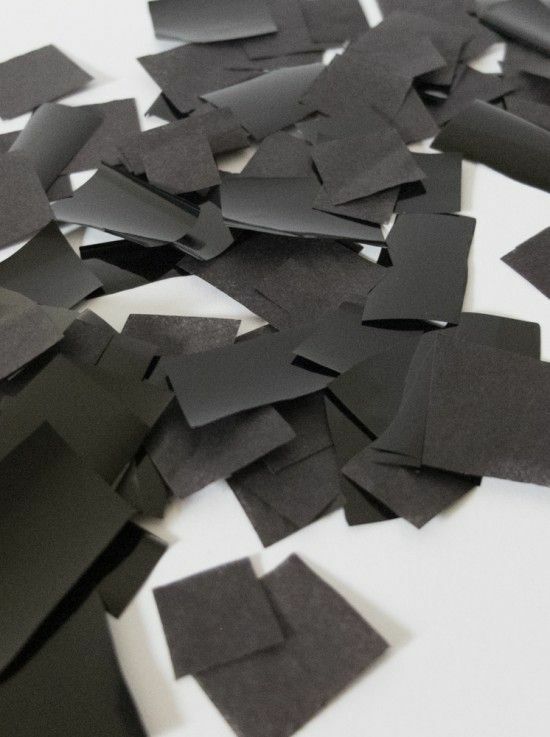 My crafter heart is intrigued by the diy multi-colored pyramid piñata and confetti kit! The Diamond Pinata is AMAZING! Love it! This kit would be perfect for my friend’s bachelorette party! Thanks Bri! My favorite is the crystal piñata. So pretty! My favorite item would have to be the mint mix tassel strand. It’s perfect for spring decor! A Diamond Pinata is a girl’s best friend. I love the Diamond Pinata – would be SO fun at a bachelorette party!! Ahhh! That copper pinata – the Crystal one, is awesome! I love the Radiant Purple Party in a Box, what fun! I kinda just love that. I LOVE the crystal piñata! Would be great to throw my sister a party with all her favorite colors! any of the cooper pinatas are amazing! I would love the tassel streamers in the copper and pink for my May wedding! The tassel strands are adorable! Looove that copper diamond shape! any of the pinatas are to die for! What a fun giveaway! I really like the large rainbow quartz crystal 🙂 I make candles with essential oils and crystals, so this is right up my alley. My favorite item is the Radiant Purple Party In A Box! The ones with the tassels are cute! I would really love the multicolored pinata … but really, any of it is rockin! oh i would love to have the diamond pinata at my bachelorette party this summer! so fun. I love the mint collection of tassels and the silver piñata. Also the gold and copper and black would have been perfect for an oscars party!! Looove the tassel strands! Would love to even just hang them up for everyday prettiness. The Bling Pinata is AMAZING!! Loving the purple party in a box! I would LOVE the quartz crystal for my desk! who wouldn’t want a party in a box?! It’s funny that they randomly have rocks at the bottom of their site. But I love them. The crystal piñata is pretty awesome. Love everything this site offers, naturally. It’s amazing! Favorite item would have to be the pentagon piñata in copper metallic! The copper metallic bling piñata! I could do for anything in the copper color. I’ve been loving it lately. I love the Tassel Strand! I have been looking for something for a large bare wall in my bedroom and I think that the strand in Metallic Mix would be perfect! The gray and gold/black party in a box! Ohh yes! I love the crystal pinata, and of course the tassel garlands! Love the Crystal Pinata! Perfect for a party – or a permanent fixture in my living space! I love the copper metallic piñata! We all could use a party in a box. I would hang the Crystal Pinata all year long! The party stuff is fabulous, but I love all the quartz crystals! So beautiful, especially the rainbow quartz. Who doesn’t love to Party?!? Party in a BOX is the way to go! tassel strands and the little trio pinata are so cute! Their bling pinata and the tassel strand in pinks and copper are sooooo beautiful! 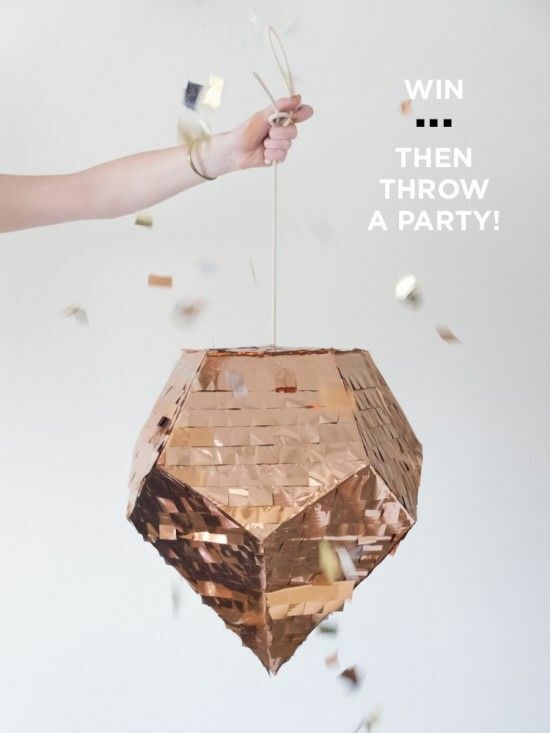 Would love to throw a springtime bash with the amazing copper crystal pinata! Those piniatas are too pretty to use – I would hang them as art instead lol!!! Also loving the tassels! The tassel strings are amazing! You don’t even need a party coming up to hang that as wall decoration! Definitely the Party In A Box. Love the idea! oh my goodness, YES. Would totally use this for a photo booth back drop! LOVE the gold pyramid pinata! Love the Crystal Pinata in Copper – so cool! Would make the perfect birthday surprise. The diamond pinata is amazing! What a great giveaway! My favorite is the mixed metallic tassel strand! The crystal pinata’s sweet- thanks for the giveaway! RADIANT ORCHID PARTY IN A BOX! Seriously, are there any better words to accompany each other in a sentence? No! RADIANT ORCHID PARTY IN A BOX! Seriously, are there any better words to accompany each other in a sentence? Nooo! I love the pentagon pinata and the rainbow crystal quartz! I love the bling piñata! I LOVE the diamond piñata and would use it in an amazing styled photoshoot I have coming up in Palm Springs soon!! i love the ‘party in the box’! Can’t wait to win and decorate the house with it! POP! WACK! Party time… I am ready for a party in a box! the party in a box is rad! i am planning my sisters birthday bash this april and that would help out big time with the decoration. fun! I love the radiant purple party in a box! Thinking of a theme that would revolve around purple things would be amazing. I love the quartz crystals and crystal piñata! I have really been wanting a piñata for my June 6th wedding! This one would be perfect! I love all of the piñatas they have as well as the rock quartz. I absolutely love the copper pendant. The shapes are fabulous and perfect for any occasion! I would LOVE to have this up, all of the time. Hellooo, the quartz crystals are gorgeous! I’m throwing a 40something birthday bash for the hubby and so far the invitations and basic decor has been free! What else could I score??? I heart your blog! Love the idea of party in a box! Going to have to agree with you on this one, the copper party in a box is my favorite too! What a brilliant idea! the party in the box is ABSOLUTELY perfect for the photo booth at my wedding! I love the diamond pinata! Love. LOVE. Love this! My favorite is the Pyramid pinata. The pinata was my favorite part about my birthday growing up. Crossing my fingers for this giveaway, maybe I can have a grownup pinata this year, even if it’s a few days late. The pinatas are fantastic! The ‘Bling Pinata’ in Copper would be fantastic for my friends bachelorette party coming up the first weekend in April! I like the black one- very chic. And those crystals! The Radiant Purple Party in a Box is my favorite! I mean, can you really go wrong with copper? I do however looooovvveeee the pyramid piñata! such a cute shop i never knew about, i’ll definitely be coming back! I love the tassel strand! I love everything! Wow. It would probably be between party in a box and the teal tassels! Everything sparkles so it’s pretty much amazing. I love all the tassel strands!! I love the metallic and black tassel strands!! Love the diamond pinata! The metallic would be great for a New Year’s Eve party. Give me da bling. That copper piñata is divine. At the end of march I either need to finish writing my book or shave my head. Either way, I think I’ll need a party! Love anything gold right now! The bling piñata in gold has to be my absolute favorite! The crystal piñata would be perfect for my mom’s 50th birthday celebration coming up in a few weeks! The diamond piñata is my favorite! Everything is AMAZING but I’m particularly partial to the Party in a Box! Oh, I love the radiant purple! They’re all great but I think the Bling Pinata is my favorite! That copper bling pinata really is everything! Silver party in a box! Or even just the silver diamond pinata. So fun! My favorite is actually the quartz crystal cluster! I have been obsessed with crystals recently and think they could be an awesome centerpiece for any occasion. I love the Mint Tassel Strand! I love all the crystals! The Rainbow Quartz is my favorite! Love the pentagon pinata and tassel strands. The metallic tassel strands are wild! I’m in love. That copper crystal pinanta is mysterious and beautiful… magical things would be sure to happen underneath it! Loving the gold crystal pinata–who said pinatas are just for kids! The Tassel Strands are the cutest! I’ve been wanting to make one of my own but would love to have one of these! The tassel strands are everything! Multi-colored pinata and confetti kit! So fun! The diamond pinata is beautiful. I have a birthday party to throw soon and this giveaway would help make it spectacular. Would LOVE a tassel strand! I’m swooning over the diamond piñata!! love the metallic party in a box! the entire shop is lovely. The Radiant Purple Party in a Box is spectacular. I’m planning a friend’s bachelorette party, and it would be so SICK to decorate our hotel room like this, and fill the piñata with fun girly prizes. Great backdrop for photos… want! GAH!!!!!! Tassel strands for days!!!!!!!!!!!! Or a freaking party in a freaking box!!!! I’m digging the Radiant Purple Party in a Box! love the pink mix tassel strand! I absolutely adore the Crystal Anti Piñata Trio! So adorable! Love the pyramid piñata! AHHH so good! Diamond pinata and tassel strands! I think the “Party In A Box” is my favorite item. I would use the item for my college graduation party. Plus you get to pick the color of the piñata! bling pinata! want it/need it! I’m lovin the crystal anti pinata. I’m really into that forest green meets emerald color right now. I don’t yet have my own place so this would be a great way to show off my style-im ready to party! I love the bling pinata! If I win, I will surely use it for my bridal shower in June. The theme is geo shaped, so it would be a dream to win! I love the party tassels! I just saw one in my friend’s studio and I would love to use my own for a party! That pentagon piñata would be perfect for my sons geometric themed birthday party! <3!! Crystals! 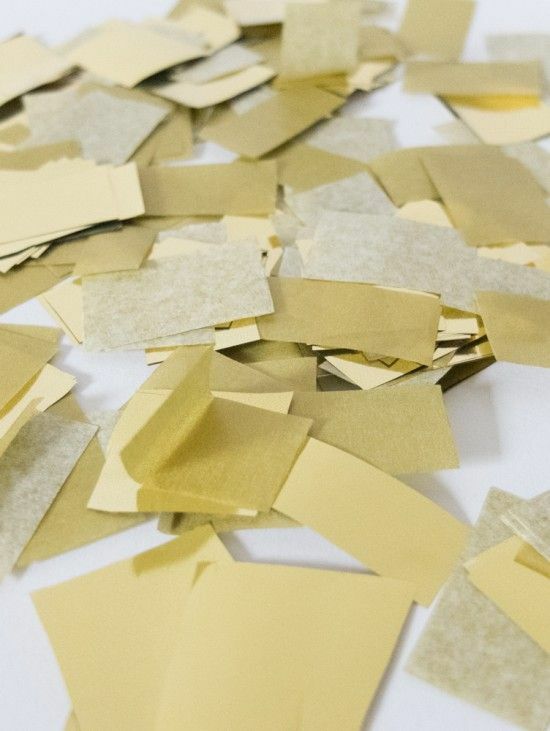 Confetti! Tassels! Pinatas! Who can choose a favorite? Not this girl, I love ’em all! I love the tassel strands! I love all the geometric pinatas. So fun! I love the shape of their crystal pinata! LOVE the Pyramid Pinata in Copper! I don’t know what I love more… the tassel strands or the Pyramid pinata! Love the radiant purple party in a box! I love the copper, gold and two toned purple piñatas! So fun and beautiful! These are beautiful. I love the copper crystal pinata. Fingers crossed. Thank you, as always, for these amazing giveaways. The Radiant Purple PARTY IN A BOX is the ultimate! Next level!! I really need that blingy pinata!! Woohoo!! I like the Crystal Pinata. I really love the bronze color. I love the radiant purple party in a box! I just ADORE the copper pinata. I would keep this as a fixture at my house! Party in a Box in silver metallic! I love love love the Pentagon Piñata!! I LOVE ALL OF THEIR PINATAS! Really. I am throwing a 30th surprise prohibition/gatsby/roaring 20’s party for my brother-in-law next month and the copper bling piñata party kit would be PERFECT. Bling pinata in gold!! Or the DIY kit so I can make infinity pinatas!!! those metallic pinata’s are wonderful! i would love to have one for my daughter’s 3rd birthday – how fun would that be!? or better yet, maybe I need one for my 30th birthday, right? It was super difficult to choose, but I am -really- loving the pendant pinata! Whoo hoo for parties in a box! the crystal pinata is so fab!!! The bling piñata in gold for my daughter’s 3rd birthday! !